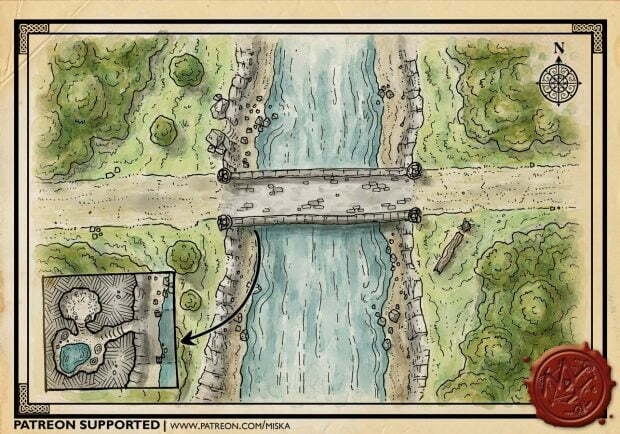 Originally this map was supposed to be a small minimap. Well, it’s not exactly a big map either, but it turned out as much bigger what I intended. The idea was given by Steve Barr on Twitter when I was asking for some ideas for a minimap. The idea happened to fit my own plans regarding my own Force and Destiny Star Wars RPG campaign. The station doesn’t have an elaborate story seed to go with it this time, but I might actually write a short adventure based on this after I have had a chance to use it in my own campaign. This is a typical military-grade orbital listening post designed to intercept and interfere communications in the area. The station is roughly pyramid shaped and usually located in high-orbit. 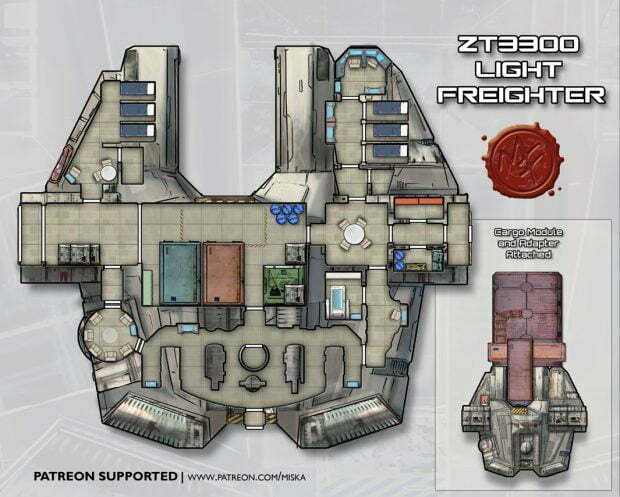 The station has a small hangar that can house one fighter and one light freighter or one medium freighter. The station can also dock with larger ships by extending a docking tube from the hangar bay. The station is defended by one dual particle cannon and two rapid firing high-yield multi-purpose missile pods. Each of the cannons can be either computer targeted or operated manually. 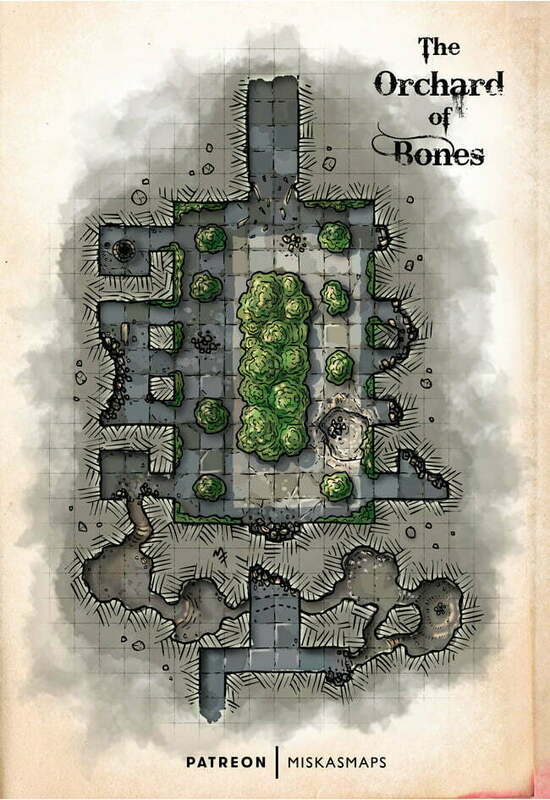 This map was originally published as a patron supported map on Patreon in December 2015.